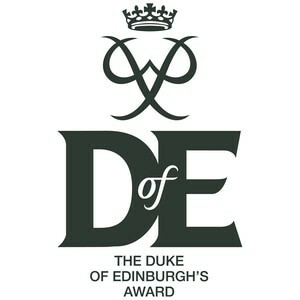 The Duke of Edinburgh's Award (DofE) is a voluntary, non-competitive programme of activities for anyone aged 14 to 24. Choices 4 All and UBU has joined forces with DofE so you can complete this fantastic challenge as part of your student experience. DofE fits in closely with many of the other awards and qualifications available to you through the UBU, in particular the Student Leaders Award and HEAR. There are three progressive levels of the award - Bronze, Silver and Gold - that vary in length and commitment. Many of you are already completing elements of the award through your interaction with UBU, be it through a sports club, society, volunteering, student rep or charity work. For each level of the award you need to undertake four sections; volunteering, physical, skills-development and an expedition. For the Gold level you will also need to take part in a residential event. The DofE programme operates in over 100 countries and is recognised by potential employers and universities as a mark of real personal development and achievement. The programme is balanced and develops you as a whole person - mind, body and soul - in an environment of social interaction and teamwork. Activities within the DofE programme can also be matched with those you are already doing in guiding so you can get more than one award for the challenges that you complete. Completing my DofE Gold Award was a challenge that changed my life. The highlight was volunteering in a disbaility school. Bronze - Takes at least six months to complete. Silver - Takes at least 12 months for direct entrants (those without Bronze Awards). Gold - Takes at least 18 months for direct entrants (those without Silver Awards). It is recommended that all students begin at Bronze as this fits into the academic year well. A Bronze DofE programme has 4 sections, Volunteering, Physical, Skills and Expedition. You must do a minimum of 3 months activity for each of the Volunteering, Physical and Skills sections, and plan, train for and complete a 2 day (1 night) Expedition. You also spend an extra three months on one of the Volunteering, Physical or Skills sections. It is your choice which one and, though you can change your mind later, you should decide which section you want to do for longer at the beginning. Knowing how long you are going to do it for will help you to choose your activity and set your goals for each section. Once you have your bronze award, you can go for your silver award without doing the extra three months. Note, if you start at silver, it will take you 18 months, the same amount of time that it takes to get Bronze AND Silver. A Silver D of E programme has 4 sections, Volunteering, Physical, Skills and Expedition. You need to do at least 6 months Volunteering and a minimum of 6 months on either Physical or Skills and 3 months on the other. It is up to you which one you do for longer. The Expedition section involves planning, training for and a 3 day (2 night) expedition. If you start your Silver without doing Bronze first you will have to do an extra 6 months volunteering or doing whichever of the Physical or Skills sections you have spent more time on. Though you can change your mind later, you should decide which section you want to do for longer at the beginning. Knowing how long you are going to do it for will help you to choose your activity and set your goals for each section. It will take you at least 6 months for Silver if you’ve already achieved your Bronze, or 12 months if you’ve jumped straight into Silver. Once you have your Silver Award you can do your Gold D of E programme. It is possible to go straight to Gold Award but you must seek permission from DofE staff in the UBU for this to happen. You will spend 12 months on your Volunteering section. For Physical and Skills you must spend 12 months on one and six months on the other – you decide which way around to do it. Your expedition will be for four days and three nights (plus an acclimatisation day) and should take place in ‘wild country’. The big difference at Gold is you’ll also do a Residential section – staying away from home for five days and four nights doing a shared activity with people you don’t know. It is great fun and a real chance to do something different! In rare occasions, you can go straight to Gold but you must speak to a member of UBU staff about this. If you have jumped straight into your Gold D of E programme you will need to do a further six months either volunteering or whichever one of your physical or skills activities you spent the most time on. For Gold, you will need to do your programme for at least 12 months if you have achieved your Silver Award, or 18 months if you have started at Gold level without doing your Silver – even if you’ve done Bronze. Please head to Unique Fitness and Lifestyle to show your confirmation email to complete registration including filling out the health and safety form. Please also bring along your student card.